At Stoney Mesa Winery, wine is the product of passion and love for farming. Each bottle is hand crafted by a family who believes in the beauty of Colorado wine as much as the beauty of the landscape, because the making of a fine wine is something to admire. One that requires good grapes, a bit of luck with the weather, and all the patience and care a winemaker can devote. Colorado is a new frontier for wine growers. 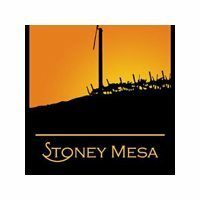 With passion and commitment, Stoney Mesa Wines will turn a new style of fruit into extraordinary wines. Discover this passion for yourself, taste Colorado! https://www.stoneymesa.com/wines/retail_outlets.aspxStoney Mesa wines will turn a new style of fruit into extraordinary wines. Discover this passion for yourself, taste Colorado! US Hwy 65, north from CO Hwy 92 out of Delta or south from Grand Mesa, to Southwest 11th Ave. in Cedaredge. Turn at the sign, west 1 mile to Happy Hollow Road, south one block.